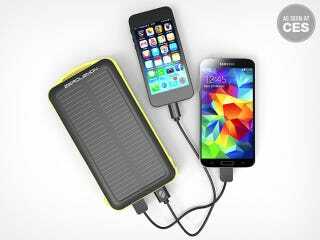 A backup battery that can recharge your phone more than 7 times over should be enough for most trips. But the ZeroLemon SolarJuice adds solar power, water resistance and shock proofing for good measure. Right now, Kotaku readers can grab one for 50% off. Shipping is free (but only available to the Continental US), and ZeroLemon's 180-day guarantee is included. See the link for a closer look.